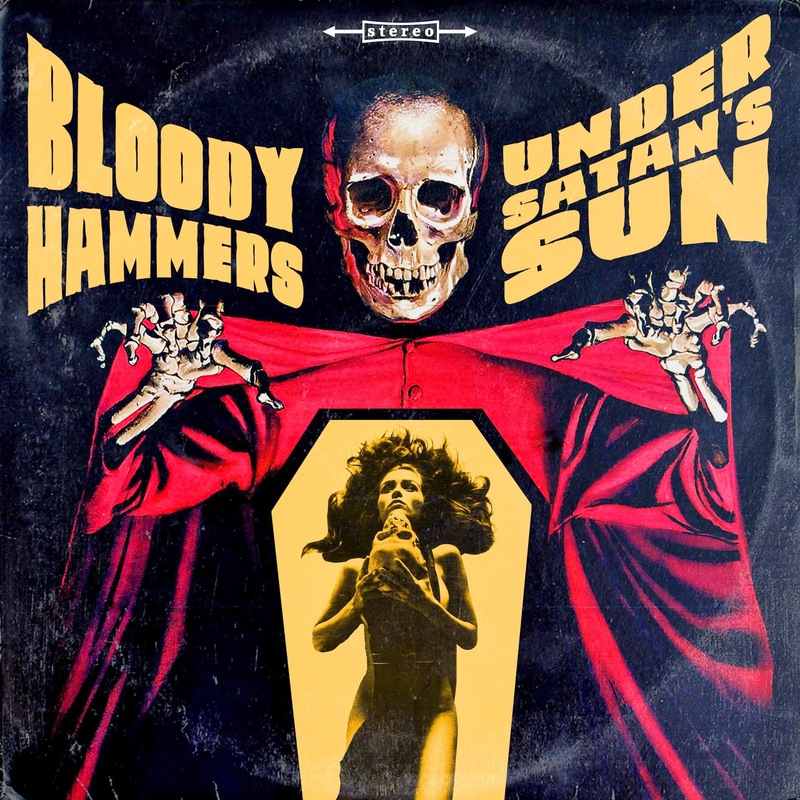 BLOODY HAMMERS have confirmed a June 10th North American release date for their new album Under Satan's Sun. (May 30th G/A/S, FIN &amp; Benelux, June 2nd UK &amp; Rest of Europe, June 4th ESP/SWE/NOR)The album will be released via Napalm Records/Spinning Goblin. Today the artwork and track listing have been revealed. The album will be available on CD, limited edition vinyl gatefold and digitally. Their first single entitled "The Town That Dreaded Sundown" is available for streaming at the Napalm Records Web Shop HERE. Limited editions of the 7" single are available for purchase as well. The A side features "The Town That Dreaded Sundown" and the B Side is a non-album track called "Glimpse" which will only be available on this release. The single is available in both white and red vinyl.